Everybody wants to spend his or her vacations in a special way. So, if you are among those who are looking for the best cruise services, we are here to serve you in the best possible manner. Whether you want to sail through deep blue waters or want to visit the best exotic places, you can avail our cruise services. We have excellent and affordable packages that you will surely admire. 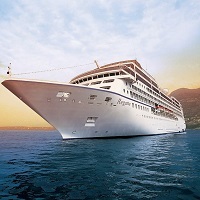 Our Europe cruise holiday packages and South East Asia cruise holiday packages are high in demand in the industry. We, India Reisebuero Pvt. Ltd. based in New Delhi, provide amazing cruise services to the most attractive places across the world like South East Asia, Florida, Australia, New Zealand, Europe, etc. Whatever your budget may be, we are always at your disposal to help you avail the best cruise services in New Delhi. So, reach us anytime to book cruise holiday tour packages/ book Europe cruise holiday tour packages.